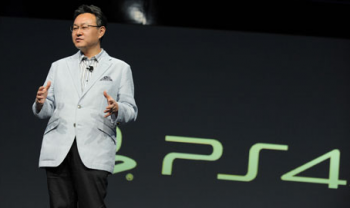 Sony's Shuhei Yoshida says the Wii U has "plenty of wonderful games." It can be easy sometimes to imagine an executive in the videogame industry as someone inundated in their company's products. Xbox bosses, for instance, who go home to houses painted bright green and wired from top to bottom exclusively with Microsoft gear. The reality, of course, is far less extreme. Whether you're a Q&A tester, game designer, code monkey or the CEO of the entire company, chances are you have your own tastes and fandoms completely separate from where you work. For instance, Shuhei Yoshida, the president of Sony Computer Entertainment's Worldwide Studios, has admitted that he not only likes Nintendo but actually owns two Wii U's. He revealed this while commenting on the trials and tribulation of the Wii U in a recent interview. "The latest Mario game is really good," he said. "I think the Wii U is just getting started." He would go on to say that the Wii U has "plenty of wonderful games" and complimented the way "Nintendo helps [to] raise and [teach] the fun of games to people just starting out." He added that he personally finds that to be "a very important thing in this industry." While such praise between companies might seem a bit odd, especially given Sony's lambasting of Microsoft following its initial Xbox One debacles, it's nonetheless nice to see a person in Yoshida's position feeling free enough to praise one of his direct competitors. In the least, it's a pleasant departure from the too often vitriolic tone that pervades the console wars.